Just when Steve Lovell thought that Saturday’s 4-1 home drubbing by Barnsley couldn’t get any worse, it did! 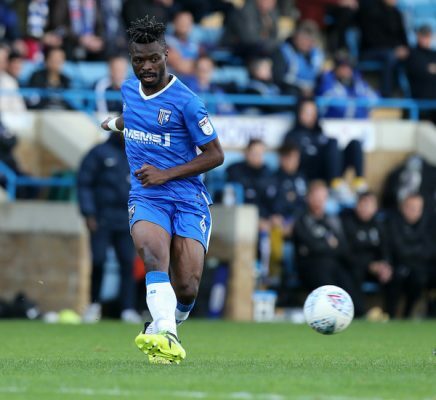 It has been confirmed that the Gills will have to do without skipper Gabriel Zakuani for the rest of the season because of an ankle ligament injury he picked up in the Second Half of Saturday’s thrashing. The 32-year-old centre-back hobbled off during the second half after a tussle with striker Kieffer Moore and had a scan on Monday and will undergo on operation on Wednesday. Manager Steve Lovell said: “There is no break but he has an operation on Wednesday which will see him miss the rest of the season which is a massive blow for all of us. This entry was posted	on Tuesday, February 12th, 2019 at 9:28 pm	and is filed under Football, Gillingham. You can follow any responses to this entry through the RSS 2.0 feed. Both comments and pings are currently closed.